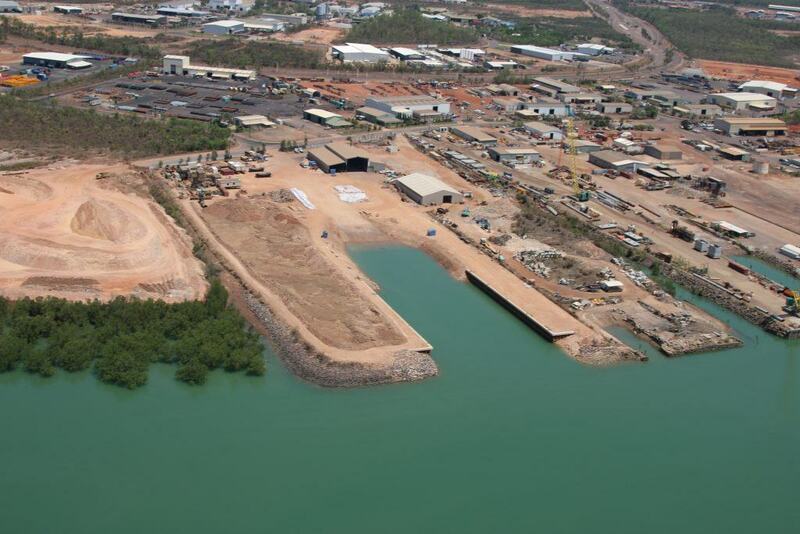 The East Arm Supply Base, located at East Arm in the Northern Territory, was established in 2011 as a roll-on / roll-off marine loading and wharf facility with a four hectare laydown yard. The base is ideally located and equipped to expand upon its current usage, to service offshore oil and gas operations, general marine operations and provide logistical services to the construction and mining industries. 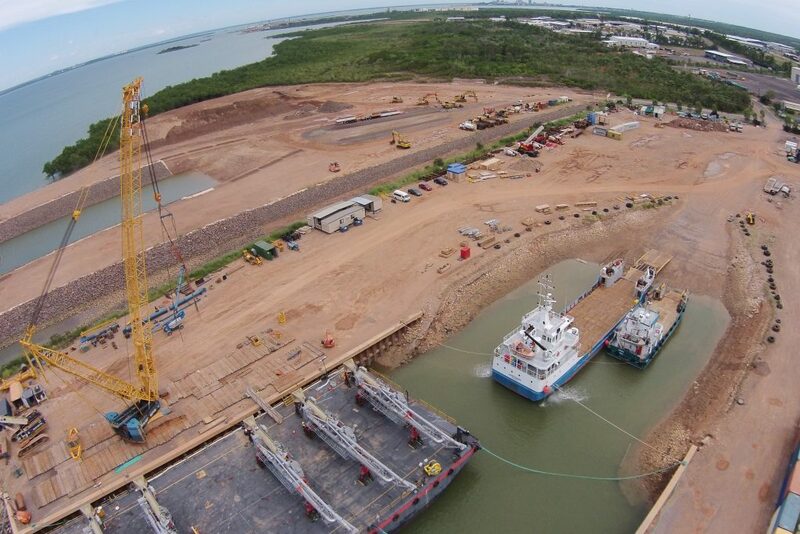 The base serves as the mainland link to Port Melville and includes 2 x 85m steel sheet pile and concrete wharves with a basin width of 53m and a maximum water depth of six metres at HAT. It has the capacity to support the movement of heavy loads of up to 200mt. There is berth / ramp space for up to four vessels, approximately four hectares of laydown area, 2,500m2 of undercover storage and workshop space, office space and fabrication and repair shop capabilities.